Dr. Jolene Erlacher is an author, speaker, consultant and university professor. Her first book, Millennials in Ministry (Judson Press) was published in September 2014). Jolene's new book, Daniel Generation: Godly Leadership in an Ungodly Culture, was released in August 2018. 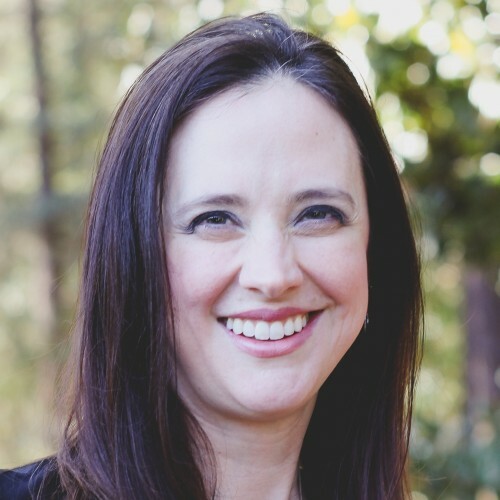 She specializes in leadership and education, speaking on topics such as: managing and empowering Millennials, intergenerational teams, organizational leadership and behavior, healthy team development, generational learning styles, and kids and technology. Jolene's educational background includes a graduate certificate in International Leadership. Her Master's degree is in English and her doctorate is in Educational Leadership from the University of St. Thomas in St. Paul, MN. She has also completed training on the StrengthsFinder assessment through Gallup Consulting and studied freelance writing at the Loft Literary Center. Jolene has worked in higher education, and as a speaker/trainer, for over fifteen years. Jolene is a military spouse and mommy to Gen Z daughters. She has volunteered and studied in various countries including Mexico, El Salvador, Costa Rica, Jamaica, Kenya, and South Africa and currently resides in central North Carolina. Daniel Generation: Godly Leadership in an Ungodly Culture was published in August 108. As Millennials and Generation Z (1980-2012) begin taking leadership roles in our churches, communities and organizations, they face unique challenges. A cultural context informed by moral relativism, technology and globalization requires leadership that remains faithful to biblical practices while creating and implementing new strategies. Like Daniel, who found himself in Nebuchadnezzar’s palace, a place foreign to his leaders and mentors in Jerusalem, young leaders today find themselves leading in an environment very different than that experienced by their parents and teachers. Lessons from Daniel’s life provide valuable insight for godly leaders of all ages as we navigate the leadership challenges of our day and prepare those who will lead in the future. Find out more about Dr. Jolene Erlacher at http://www.leadingtomorrow.org.